Recently, a good news from QGM overseas office in Vietnam, QGM T10 block making production line has been finished installation and operation training, and now has been put into operation successfully in customer factory. Located in Phan Thiet City, Binh Thuan Province, Mid-South of Vietnam, Customer is the biggest cross-industry, and diversified group with high visibility in and around Binh Thuan Province, including Crush Stone factory, Pre-Casting, Ready Mixed Concrete, Concrete Block Making Factory, Road and Building Construction, High-way Construction, Real Estate, Resort Town with 5-star hotel, golf, and sea beach, and Red Wine Castle, etc. 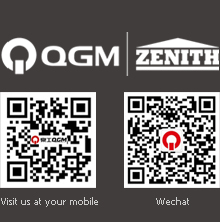 Thronging a long time research on block making, customer knows QGM is the first Chinese block machine manufacture with the German frequency converter technology, and has 100% acquired Germany Top Block Making company ZENITH which is with more than 60 years history on block making. So customer starts to connect with our sales manager in Vietnam office for discussion about cooperation. After 2 months discussion on machine and technology, customer has a further understanding about R&D on our product, and German standard design and manufacturing process. After the visiting in our company and factory workshops, customer is very satisfied with this visiting and signs the purchase contract with us directly.